Officers Sack, DeKramer, Warson and Hilst all testified at the criminal trial that the offender driving the Blue Rambler during the car chase was wearing glasses. After the offender crashed the car at the intersection of Blaine & Butler and then fled the scene running north, the Peoria Police Department and the Peoria County Sheriff’s Department recovered several pieces of evidence from the car, including a pair of damaged black glasses. (See Photo below). These glasses were recovered from the floorboard of the driver’s side of the car. As you can see from the photo, the left lens is shattered. In his affidavit, Clark states “In my haste to exit the car I left the gun on the seat and stepped on the glasses, which had fallen out of my pocket earlier when I put the woman in the car.” (See James Clark Confession). 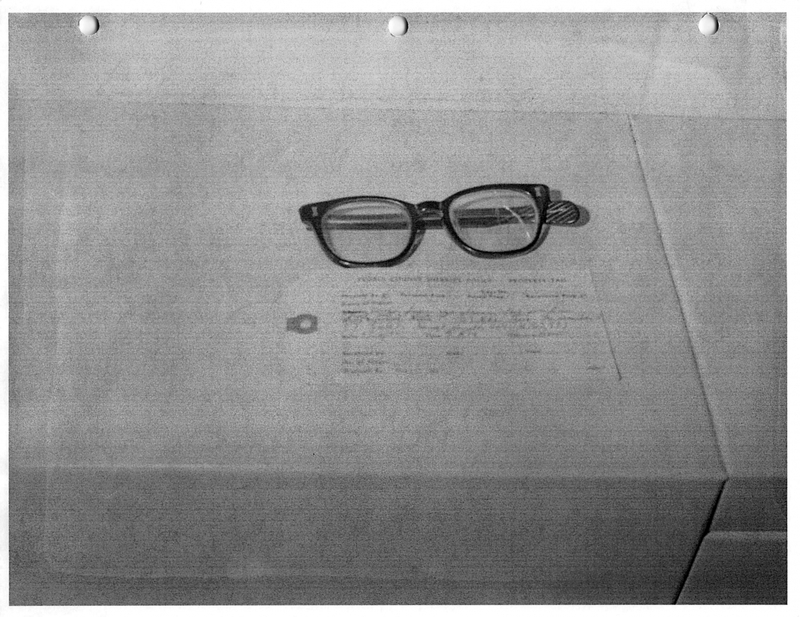 The damage to the lens, as depicted in the photo is consistent with a person stepping on the glasses, as Clark states in his affidavit. It is undisputed that Mr. Heidelberg was in possession of his own eyeglasses when he was arrested. Peoria County Jail Administrator Robert Zook testified that Mr. Heidelberg’s eyeglasses were inventoried upon his arrest. These damaged eyeglasses found in the car, when Mr. Heidelberg was already in possession of his own glasses, are another strong indicator of Mr. Heidelberg’s innocence and Mr. Clark’s guilt.